Online learning has been around for over 20 years in Australia, but only recently has it started to receive a lot of attention. In formal education settings it has now become a staple, either as a component of a traditional student journey, or as a preferred learning mode. Open Universities Australia (OUA) was the first big success story on our shores, offering online degrees from 10 Universities. Online students want an easier way to get into learning or finish a previously started course, may be wanting a career boost, or are just passionate about learning something new. What do you do though if you have the time, a good internet connection, know you want to learn something but you’re either not ready to pay for it, or want to try your hand before committing? It turns out that these days you are in luck, as there are many ways to study online without needing to do an entire degree. Many of these do not attract fees at all. In no particular order, here are my top 5 free (or practically free) ways to study online for 2017. Coming out of Harvard and MIT, edX is one of the most prominent online learning platforms in the world, partnering with many other renowned institutions along the way. The model here is weekly engagement, and you will find a wealth of courses on a very wide variety of topics on offer for free, with the addition of a certificate for a price. More recently edX has gained attention with its micro-masters programs. As with Coursera, the most successful courses have been around computers and programming, but take a look at some of their other offerings too, like The Science of Everyday Thinking. My big fat idea is this. I think we need to be able to design learning experiences for students in a way that is informed by their real, everyday experience. 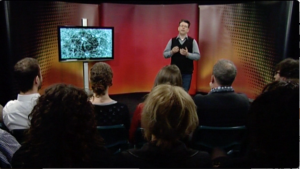 Check out my talk for the Big Fat Ideas series here. LTLT academics receive prestigious award for sustainable thinking. Cross posted from Science Book a Day. This might sound a strange place to start, but stay with me. I read this as an undergraduate and plainly remember wondering what all the fuss was about at the time. I now look back on Foucault’s writings as a turning point in my understanding of key concepts to do with the power of technology — illustrated with cogent ideas such as the panopticon, which seems more and more relevant today. Everyone should be forced to read this. That’s a joke. However, I will be watching to check that you do. This is a brilliant book which introduced some exciting ideas for me on the ways in which different forms of learning spaces enable ways of thinking, and drew a connection from learning space design to concepts in material semiotics and the study of socio-technical networks. Your mileage may vary, of course! This excellent work taught me that technologies are ‘self-creating’, consisting of ‘assemblies and sub-assemblies’, meaning that new technologies almost always arise as new combinations of old technologies. This is a great way to understand the evolution of technologies, and how for example jet aeroplanes came into existence, and helped me understand why Apple so infuriated and confused some people when it came out with the iPad at the end of a decade of tablet device failures and it turned into a raging success. Turkle presents a near future when robots become true companions, challenging us to consider a spectrum of possibilities from love to Frankenstein’s monster. In discussing her favourite topic (and mine) of identity, she even refers to one of the most enduring sci fi classic films, Bladerunner. This edited volume presents a lovely combination of chapters presenting a critical view of the idea that there is a ‘net generation’ at odds with other generations, and explores the multitude of ways that technologies transform and destabilise relations and authorities, among many other things. An absolute classic introduction to the philosophy of technology that introduced me to the notion that technologies are political whether we recognise it or not. Well written, engaging ‘hard’ sci fi is rare and it is even more rare to find novels as challenging and engaging as this one. This story of a distant future in which being posthuman becomes a necessity is mindbending as well as inspiring, with three alternatives explored: genetic, virtual and robotic. Best treated as a highly speculative extended thought experiment, for the most chilling effect I dare you to get the iBook and get Siri to read the first few pages aloud. Unflinchingly utopic and deterministic though this fairly slim book may be, it’s irresistable in its accessible presentation of interesting ideas such as the transition from ‘point and click’ all the way through to ‘think talk move’ by 2020. Another book ahead of its time that forever changed the way I thought about science and technology. What do scientists do in laboratories, and why is theory so privileged over practice in science? Just how do facts become facts? What happens if we go back to a time when established facts were controversies? This beautifully written book helped me see how social studies of science and technology can provide answers to questions like these and set me on the path to using actor-network theory. Alright, it’s a novella, but can anything really come close to this? If you still haven’t read this book, which was adapted for the movie Bladerunner, shame on you. Worth coming back to time and time again, it’s worth remembering that this dystopic vision of future human/non-human existence dates before the first moon landing. Genius. For the last few years I have become interested in finding meaningful ways to reintroduce student perspectives into the way we think about university teaching and learning. It may seem totally obvious that we should think about how students experience their daily lives when we plan for and design curriculum, student support, educational technology and learning environments. However after working in universities for a long time, I have noticed that important decisions are frequently made by senior management, administrators and teaching staff who are all prone to making one simple mistake. They (and I include myself here) extrapolate their own experience as a learner — often decades in the past. Not only are student lives different now than they were before. Student experiences are very different depending on discipline, course load, cultural and social background, and all kinds of other factors that are very difficult to summarise. In other words, while we think we understand the broad issues, at the level of an individual student the picture is complex, unpredictable and highly contingent. What typically happens in the face of this is to survey students once in a while and pool all the data. Of course this can help, but we end up with a lot of assumptions. I think we need much better ways to describe the everyday experiences of students. One of those ways is to get students to work as co-researchers, giving us richer and deeper descriptions of their daily lives, providing more detailed evidence alongside what we already know (for example the Day Experience Method that Mike Arnold and I developed). This is a brand new journal and I submitted the article there because I want to encourage more scholarly work in this area and there was previously no journal like it. If you’re interested in learning spaces design, I hope you enjoy reading it. The Fitzroy Legal Service attended the Occupy Melbourne protests referred to in my last post. It questions the role of a local council in silencing free speech, as well as the use of heavy-handed tactics when people were clearly undertaking a peaceful demonstration. The use of horses to ride directly into the crowd was appalling, and a measure that ordinary people would consider appropriate only in cases of dire emergency and public risk. When you decide to do that serious injuries are almost inevitable, and really call into question the role of the police in serving and protecting the community. I personally observed a significant number of injuries amongst those arrested, including children. The central issue is that political demonstration is a democratic right, and should be given significant protection by the State. Justifying this kind of aggressive use of force because of inconvenience or embarrassment is really a sign that we need to have a good look at human rights protection in this State. Your actions today in calling in riot police to remove peaceful protesters from our City Square have embarrassed and appalled democratic, fair-minded people in our city. People like me, who are dedicated to the principles of peacefully sharing ideas under the protection of a strong democracy. That you do not or are not able to share the views of those who protest is not an excuse for such a heavy-handed and needless display of aggravation. I do not accept the arguments you have made on the radio around whatever minor damage there may or may not have been to the square, nor to a few small businesses nearby. Those are comparatively minor wrongs that can be undone. If you really are unable to balance these minor property costs against the rights of people to engage in democratic free speech, I believe you are unworthy of your office. The pictures taken today of protesters being carried away by police are now being beamed around the world. Meanwhile in New York, Sydney and hundreds of other cities around the world the Occupy protesters have been allowed to continue their protest without harassment. What do you believe this will say about the strength of our democracy — about our willingness to tolerate a range of views? I believe it will reflect very poorly on us. This is not about a particular position on the issues the protesters are bringing up. It is about decent conduct in public office, and a respect for the democratic rights of your fellow citizens. I call upon you to apologise to the people of Melbourne for making such a poor judgement call today, and I believe the morally responsible thing for you to do following this is to resign. I would like to add that I am not a member of a political party or protest group. I am a Melbourne academic who is ashamed of his Lord Mayor. I write to urge the government to reconsider its decision to axe the Australian Learning and Teaching Council (ALTC). While I am a strong supporter of appropriate funding for the reconstruction work in Queensland, Victoria and beyond following the recent natural disasters, I do not believe this decision has been made in the best interests of the nation. I believe events such as the Victorian bush fires, the Queensland floods, and Cyclone Yasi prove that the Australian government needs to fundamentally alter its thinking on disasters. The government should recognise that we cannot sustain a situation where we must find several billions of taxpayer dollars on an ad hoc basis every time one of these disasters comes along. Of course I will gladly pay the one off levy for the Queensland floods, but I would be even more supportive an ongoing approach that would to pay for a disaster contingency fund for all Australians. With a mining boom, our continued economic growth and projected budget surpluses, this country should be able to compare itself to the Norways instead of the Naurus. The ALTC is a success story in Australian higher education, and this industry is one of Australia’s largest exports. I have worked in higher education for my entire career since 1990. During this time, I have seen student learning suffer from being vastly undervalued in comparison to research, yet I have seen a great deal of evidence that both are of equal importance. Without excellence in teaching, the top researchers of tomorrow will not be supported to continue in universities. The ALTC was an important way that this imbalance was being addressed in recent years, by rewarding and recognising excellent teachers, and by supporting applied research projects into teaching and learning. Its demise is a giant step backwards for all Australian universities. I have been lucky enough to be involved in an ALTC funded project on learning spaces. 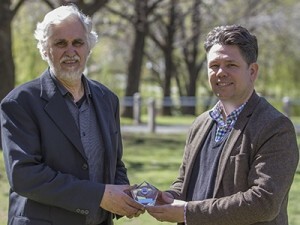 As an early career academic, this is a significant boost to my professional development, but far more importantly it is now having a significant impact on the outcomes for students in my university and beyond, through the establishment of a range of exciting new study environments, including several new collaborative teaching spaces, and the setting up of Faculty learning commons at La Trobe. Our work is being disseminated nationally, and in the coming months my team will publish an edited book internationally. Each of these outcomes — academic development, evidence-based capital investment, student support, and publishing of research — have been made possible only because of the support of the ALTC. This is the sort of thing that will be crushed by the removal of a relatively small amount of government funding necessary to keep the ALTC going. With changes coming through the Bradley Review and the establishment of TEQSA, as well as important challenges in attracting international students to Australia, it is clearly vital that the government gets the balance right in supporting universities right now. The government will fail in its goal of improving the quality as well as access to higher education in this country if its approach does not include supporting educators through programs such as ALTC. These goals are in tension, and cannot be achieved through regulation alone. Please stand up for the quality of higher education by immediately reviewing the hasty decision to discontinue the good work of the ALTC.